Teenage emotions and ancient legends combine in this coming-of-age story. Ceri is fifteen, poised between childhood and the adult world. She lives with her mother and step-family and wonders about her American father, whom she has never met. Are they alike? If she lived with him, would they get on better than she and her mother do? Because she has impaired hearing, Ceri sometimes feels out of things when she can't catch what others say or she mispronounces words. But often she wants to be separate. Taking out her hearing aids is an act of defiance that empowers her. Then she can be alone with her thoughts, or listen to recordings of whale songs and paint and daydream about her imaginary country under the sea. A family holiday on the Scottish coast, where Ceri's American half-sister Ruth is living, causes Ceri's real and imaginary worlds to collide. 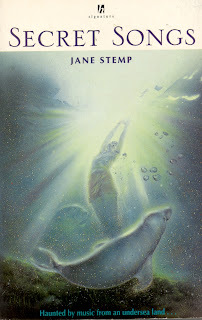 There she encounters a local man, Euan, who swims with the seals and seems to communicate with them. He empathises with Ceri, and she is instantly drawn to him. But Euan, she soon realises, is Ruth's boyfriend - her lover - though Ruth is afraid of the sea and tries to keep Euan away from it. Ceri's feelings of rivalry with her sister are intense but only half-acknowledged; the author conveys these emotions without ever bringing them into the open. Ceri knows that she and Euan are alike in some deep way. They share a longing for the sea - but is there more to it than that? Ceri is haunted by legends of the silkies who inhabit the seas around Scotland. She begins to guess at a secret that seems unbelievable until one night when Ruth gives her something extraordinary to keep safe for her. The magical spects of this story are subtly woven into a narrative of family tensions and growing friendships. I read the book twice, and it was only on the second reading that I saw the shape of it more clearly and picked up on things I'd missed first time around. This is definitely a book to come back to. Secret Songs has been out of print for some time. It's a quiet book, of a sort that's not much published nowadays. I believe it deserves to be republished, but even if that doesn't happen I hope it will not be long before Jane Stemp finds a publisher for a new story. In the meantime, try your local library or search out copies on the internet. 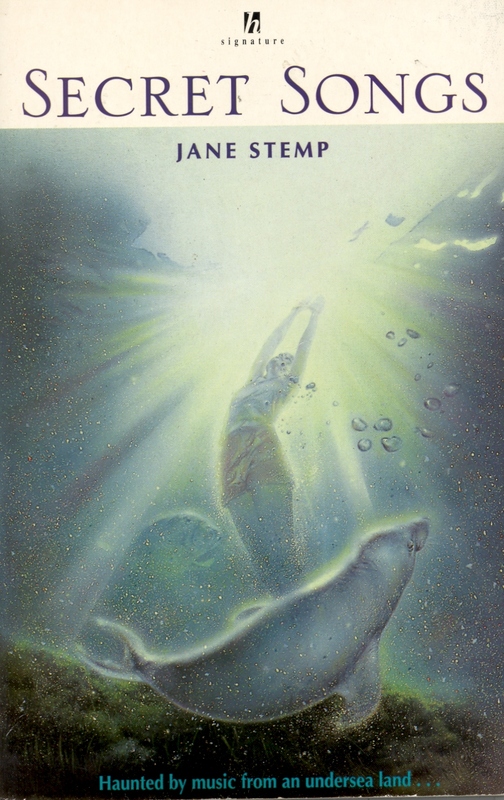 The legend of the selkie is deeply magical, and this post makes me want to search Jane Stemp's novel. You mention a new book, Ann. Do you know the title? If you want to share the legend with younger readers, there's a picture book by Gillian McClure, simply called "Selkie". A young boy, Peter, finds a seal trapped in the mean and greedy Oysterman's nets, and when he frees the seal, she becomes a girl, and his friend. Before long, the Oysterman traps the selkie girl to use as his slave, so Peter has to save her once more. McClure's water-colour illustrations give a beautiful feel of sea and shoreline. I saw the origial art work in an exhibition at Newby Hall in Yorkshire a while back so may be particularly biased in my affection for it or for the northern landscapes that must have been her inspiration. No, I don't know of any new book. I just meant that I hoped Jane was still writing. Yes I am! But not having much luck getting published. Oh - Philip is safe enough! (he and I met on Facebook over a packet of butter: and I'm going no further... ) I can't write non-fiction: whatever I try wraps itself into a story. This sounds like a wonderful book that should be on kindle!